Bank of America is currently offering five promotions. 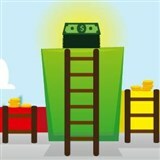 Read our in-depth review of Bank of America to see why Bank of America scored 3.2 stars out of 5. We like their national availability, extended customer service hours, and full service bank. Open a new Bank of America Advantage Plus Banking checking account by December 31, 2019. Account must be opened online using the link on the offer page. Minimum opening deposit is $100. Set up and receive at least 2 qualifying deposits of $250 or more each to your new checking account within 90 days of account opening. The $100 cash bonus will be deposited into your account within 60 days of completing all requirements. Open a new Bank of America Advantage Relationship Banking checking account by December 31, 2019. Account must be opened online using the link on the offer page. Minimum opening deposit is $100. Set up and receive at least 2 qualifying direct deposits of $250 or more each to your new checking account within 90 days of account opening. The $100 cash bonus will be deposited into your account within 60 days of completing all requirements. Open a new Bank of America Advantage SafeBalance Banking checking account by December 31, 2019. Account must be opened online using link on the offer page. Minimum opening deposit is $25. Set up and receive at least 2 qualifying direct deposits of $250 or more each to your new checking account within 90 days of account opening. The $100 cash bonus will be deposited into your new account within 60 days of completing all requirements. Earn the initial $100 by opening a new Bank of America Business Fundamentals Checking or Business Advantage Checking account online or over the phone. Make at least $1,000 in qualifying deposits into the new small business checking account within 60 days of account opening. To earn an additional $50, set up online bill pay from the new small business checking account within 60 days. To earn an additional $300, open a new small business credit card account and make at least $3000 in net purchases with your card that post to your checking account within 90 days from the credit card opening. Get 30 free stock and ETF trades a month at Merrill Edge, if you have reached Platinum status by maintaining $50,000 combined balance in your Bank of America® banking and/or Merrill Edge® and Merrill Lynch® investment accounts. This offer is valid to new and existing Bank of America savings account customers. Enroll in this limited-time special cash offer in your local Bank of America center by December 31, 2018. Within 30 days of enrolling, make qualifying deposits of $20,000 - $49,999. Maintain the qualifying deposits in your savings account for 90 days following enrollment in this offer to receive $200 bonus. This offer is valid to new and existing Bank of America savings account customers. Enroll in this limited-time special cash offer on your local Bank of America center. Within 30 days of enrolling, make qualifying deposits of $50,000 - $99,999. Maintain the qualifying deposits in your savings account for 90 days following enrollment in this offer to receive $300 bonus. This offer is valid to new and existing Bank of America savings account customers. Enroll in this limited-time special cash offer in your local Bank of America center. Within 40 days of enrolling, make qualifying deposits of $100,000 or more. Maintain the qualifying deposits in your savings account for 90 days following enrollment in this offer to receive $500 bonus. This offer is for new checking customers only who reside within the following counties in the Salt Lake City, Utah area: Davis, Morgan, Salt Lake, Summit, Tooele, Utah, and Wasatch. Open a new eligible Bank of America checking account. Set up and receive qualifying direct deposits of at least $4,000 within 90 days of account opening. Bank of America offers one checking account with 3 settings. If your financial situation changes, you can switch to the setting that works best for you. Advantage SafeBalance: This setting has no overdraft fees - you can only spend what you have. There are no paper checks. The $4.95 monthly fee can be waived if you are a student under 24, or if you are enrolled in Preferred Rewards. The minimum opening deposit is $25. Advantage Plus Banking: The $12 monthly service fee can be waived if you: maintain a balance of $1,500, OR have one direct deposit of at least $250 each month, OR be a student under 24. This account allows you to enroll in overdraft protection. The minimum opening deposit for this setting is $100. Advantage Relationship Banking: The $25 monthly service fee can be waived if you maintain an average balance of $10,000 in your combined Bank of America deposit accounts and Merrill Edge/Merrill Lynch investment accounts. The minimum opening deposit is $100. Both accounts come with free mobile banking, mobile check deposit, and alert. They also come with a debit lock/unlock feature. If you've misplaced your debit card and need time to find it, you can just lock it on the mobile app. And then unlock it after you've found your card. Business Fundamentals®: This is the basic business account ideal for small businesses just starting out. There is a monthly maintenance fee, but you can get it waived if you do ONE of the following: spend at least $250 in purchases on your business debit or credit card, maintain an average monthly balance of $5,000, maintain a daily balance of $3000, OR maintain a combined balance of $15,000 across all your linked BofA accounts, OR qualify and enroll in the Business Advantage Relationship Rewards program. Business Advantage: This account is better for more established small businesses able to maintain a higher balance. The monthly maintenance fee is $29.95/mo, but you can get it waived if you do ONE of the following: spend at least $2,500 in purchases on your business credit card, maintain a monthly balance of $15,000, maintain a combined balance of $35,000 across all your linked BofA accounts, OR actively use BofA Merchant Services and Payroll Services. You also get a second Business Advantage checking account for no maintenance fee. And you get free domestic and international incoming wire transfers. Gold level: Need a combined balance of $20,000. You get a 5% interest rate booster on a Rewards Money Market Savings account, and a 25% bonus on eligible credit cards rewards. Platinum level: Need a combined balance of $50,000. You get a 10% interest rate booster on a Rewards Money Market Savings account, a 50% bonus on eligible credit cards rewards, 1 free ATM transaction per month from non-BofA ATMs, and 30 free stock and ETF trades per month with a Merrill Edge investment account. Platinum Honors level: Need a combined balance of $100,000. You get a 20% interest rate booster on a Rewards Money Market Savings account, a 75% bonus on eligible credit cards rewards, unlimited free ATM transactions from non-BofA ATMs, and 100 free stock and ETF trades per month with a Merrill Edge investment account. Look for cash back deals: Bank of America has BankAmeriDeals that can earn you extra cash back at stores, restaurants, and hotels. All you have to do is sign in to your mobile or online banking, search through the deals, and activate the ones you like. Then when you make a purchase there, use your eligible BofA credit or debit card. You'll automatically get the cash back activated at the end of the next month. 0.03% APY (up to 0.06% if enrolled in Preferred Rewards). $8 monthly maintenance fee, unless you have 1) daily balance of $500, 2) are a Bank of America Preferred Rewards Client, or 3) link your Rewards Savings Account to your Interest Checking Account. Minimum deposit of $100. Standard Term CD: 0.03% - 0.75% APY. Terms of 28 days to 10 years. Minimum deposit of $1,000. Featured CD: 0.07% - 2.05% APY. Terms of 12, 13, 25, and 37 months. Minimum deposit of $10,000. Approximately 15,900 ATMs around the country. Standard Term CD: 0.03% - 0.75% APY. Terms of 28 days to 10 years. Minimum deposit of $1,000. Featured CD: 0.07% - 2.05% APY. Terms of 12, 13, 25, and 37 months. Minimum deposit of $2,000. 4600 retail financial centres around the country and brances in more than 40 other countries. Pricing information from published website as of 4/23/2019 based on 91107 zip code. 0.03% APY (up to 0.06% if enrolled in Preferred Rewards). $8 monthly maintenance fee, unless you have 1) daily balance of $500, 2) are a Bank of America Preferred Rewards Client, or 3) link your Rewards Savings Account to your Interest Checking Account. Minimum deposit of $100. 0.01% APY. Minimum opening deposit of $25. Monthly service fee of $5, unless you maintain a minimum daily balance of $300, or are under the age of 18. Standard Term CD: 0.03% - 0.75% APY. Terms of 28 days to 10 years. Minimum deposit of $1,000. Featured CD: 0.07% - 2.05% APY. Terms of 12, 13, 25, and 37 months. Minimum deposit of $10,000. Standard Term CD: 0.05% - 1.25% APY. Terms of 3 months to 1 year. Minimum deposit of $2,500. Special CD: 2.00% - 2.40% APY. Terms of 9, 19, 29, and 39 months. Minimum deposit of $5,000. Bonus of up to 2.46% APY if you maintain a linked Wells Fargo Prime/Portfolio Checking account. Also known as the Platinum Savings Account. 0.05% APY. Minimum opening deposit of $25. $12 monthly service fee, unless you maintain a minimum daily balance of $3,500. 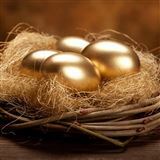 Bonus APY of 0.10% - 2.15% requires account linked to Portfolio by Wells Fargo® relationship. Sat-Sun 8am - 8pm (ET) Available 24 hours a day, 7 days a week. Approximately 15,900 ATMs around the country. More than 13,000 ATMs across the country. Standard Term CD: 0.03% - 0.75% APY. Terms of 28 days to 10 years. Minimum deposit of $1,000. Featured CD: 0.07% - 2.05% APY. Terms of 12, 13, 25, and 37 months. Minimum deposit of $2,000. Standard Term CD: 0.01% - 1.25% APY. Terms of 1 month to 114 months. Minimum deposit of $1,000. Special CD: 2.00% - 2.40% APY. Terms of 9, 19, 29, and 39 months. Minimum deposit of $2,500. Bonus of up to 2.45% APY if you maintain a linked Wells Fargo Prime/Portfolio Checking account. 0.03% - 0.05% APY. $100 minimum opening deposit. 4600 retail financial centres around the country and brances in more than 40 other countries. More than 5,700 branches across the country. Bank of America: Pricing information from published website as of 4/23/2019 based on 91107 zip code. Wells Fargo: Pricing information from published website as of 4/24/2019 based on 91107 zip code. Receive $300 bonus when you open a new eligible Bank of America checking account in a financial center, online, or via phone. Set up and receive qualifying direct deposits equaling a total of $4,000 or more in your new personal checking account within 90 days of account opening. Get an additional $200 when you open a new Bank of America Rewards Savings personal account and make deposits of at least $20,000 in new money directly into your new Rewards Savings account within 30 days of opening the savings account. Qualifying deposits must remain in account for at least 90 days to receive $200 bonus. This offer is limited to individuals who received a letter directly from Bank of America about this offer. Open a new eligible Bank of America checking account in a financial center, online, or via phone. Set up and receive qualifying direct deposits equaling a total of $4,000 or more in your new personal checking account within 90 days of account opening. Your $300 bonus will be deposited to your new personal checking account within 60 days after completing requirements. This offer is limited to those individuals who receive this offer via a direct communication from Bank of America. Qualify for a $200 bonus when you open a new or have an existing eligible savings account (excluded in this promotion are CDs, IRAs, Minor/Student Savings Account). Then make qualifying deposits of $20,000-$49,999 in new money into your eligible savings account within 30 days of enrolling in this offer. Maintain qualifying deposits in your eligible savings account for 90 days following enrollment in this offer. Your $200 bonus will be deposited to your account within 60 days of satisfying offer requirements. This offer is valid only to select Bank of America customers who receive this offer via direct communication from Bank of America. Qualify for a $300 bonus when you open a new or have an existing eligible savings account (excluded in this promotion are CDs, IRAs, Minor/Student Savings Account). Then make qualifying deposits of $50,000-$99,999 in new money into your eligible savings account within 30 days of enrolling in this offer. Maintain qualifying deposits in your eligible savings account for 90 days following enrollment in this offer. Your $300 bonus will be deposited to your account within 60 days of satisfying offer requirements. This offer is valid only to select Bank of America customers who receive this offer via direct communication from Bank of America. Qualify for a $500 bonus when you open a new or have an existing eligible savings account (excluded in this promotion are CDs, IRAs, Minor/Student Savings Account). Then make qualifying deposits of $100,000 or more in new money into your eligible savings account within 30 days of enrolling in this offer. Maintain qualifying deposits in your eligible savings account for 90 days following enrollment in this offer. Your $500 bonus will be deposited to your account within 60 days of satisfying offer requirements. This offer is valid only to select Bank of America customers who receive this offer via direct communication from Bank of America. Offer valid for all current Bank of America customers. Enjoy free museum admission on the first full weekend of every month, from more than 150 participating museums. Simply show your Bank of America or Merrill Lynch credit or debit card and an ID, and get one free general admission. Offer valid for all current Bank of America customers. As a thank you, Bank of America is giving away a full year of free McAfee Internet Security software. Bank of America offers a nationwide network, many account options, and user-friendly online banking. But does this convenience come at a cost? Read on. First Tennessee Bank Review: Account Good for You? What means the most to you when you look for checking and savings accounts? Is it the interest rate, monthly required balance, or something else? At First Tennessee, you won't find the highest interest rates, but you'll find customer service and a variety of fringe benefits that may make it worth opening an account. Union Bank Review: Account Good for You? If you are in the market for a simple bank account that allows you to pick and choose the features that you pay for, Union Bank may be the bank for you. Regions Bank Review: Account Good for You? Regions Bank offers a variety of deposit products, easy account opening requirements, and special reward programs. Read on to see if this bank is right for you. Comerica Bank Review: Account Good for You? Do you look for a wide range of account options at banks? Do you want a bank that offers free savings accounts with any checking account? Comerica Bank may provide what you need. Associated Bank Review: Account Good for You? If you live in the Midwest, you've likely heard of Associated Bank. Its account offerings are basic with higher fees, but is it a good fit for you? Read on. Webster Bank Review: Account Good for You? Webster Bank offers bank accounts for those just starting out as well as those looking for a "premier" bank account. Do their services live up to your needs? Keep reading to find out. BBVA Compass Review: Account Good for You? BBVA Compass Bank may not even be on your radar when you are looking for a bank. That's because it's a regional bank, located mostly in the southwestern states. While it doesn't have branches available nationwide, BBVA does offer an online-only account available to consumers nationwide. BB&T Bank Review: Account Good for You? Banks aren't a one-size-fits-all thing. You have to find the one that suits your needs. Whether you are a seasoned banker or just starting out, each person has different needs, means, and capabilities when it comes to finances. Santander Bank Review: Account Good for You? If you're in the Northeast, Santander Bank offers solid basic checking and savings options, as well as competitive rates for CDs. Read on to see if it fits your needs. Citizens Bank Review: Account Good for You? Are you looking for a bank that will not only keep your money, but also help push you to meet your financial goals? If so, you may want to consider Citizens Bank. Bank of the West Review: Account Good for You? If you live in the West, you've likely heard of Bank of the West. 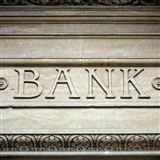 Is it worth putting your money at this bank or is it just another "low interest" big bank that has little to offer unless you have a lot of money to deposit? TD Bank Review: Account Good for You? TD Bank offers extended customer hours and easy online banking. Are these perks worth it? Find out what makes TD Bank a great choice for you and some reasons to look elsewhere. Wells Fargo Bank Review: Account Good for You? Wells Fargo offers nationwide access with thousands of ATMs and branch locations. But are their checkings and savings accounts right for you? Read on to see the best options. Debit and ATM cards are the best and simplest way to withdraw money from your account whenever you need it. But even without one, you should still be able to access your funds. Keep reading to find out how.